Separated from Inside (01.7514a). On the cover of the mirror, Aphrodite, clad in a chiton and ample himation, is seated to the left on a rock. 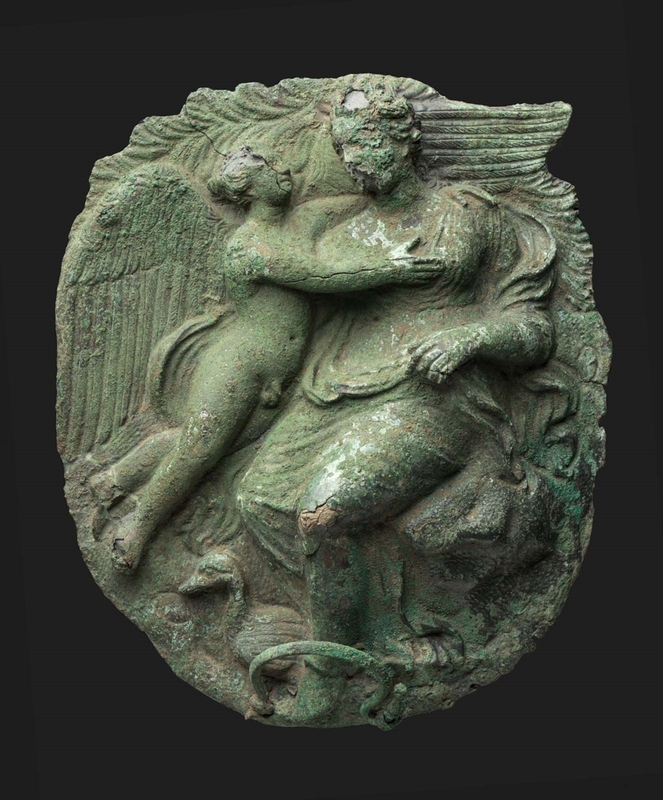 Eros, clad in a small chlamys, flies down from the left to embrace her. At Aphrodite’s feet, a goose, and, just below, the ring-handle. A piece from the edge of the case is missing. Patina in part pale green.